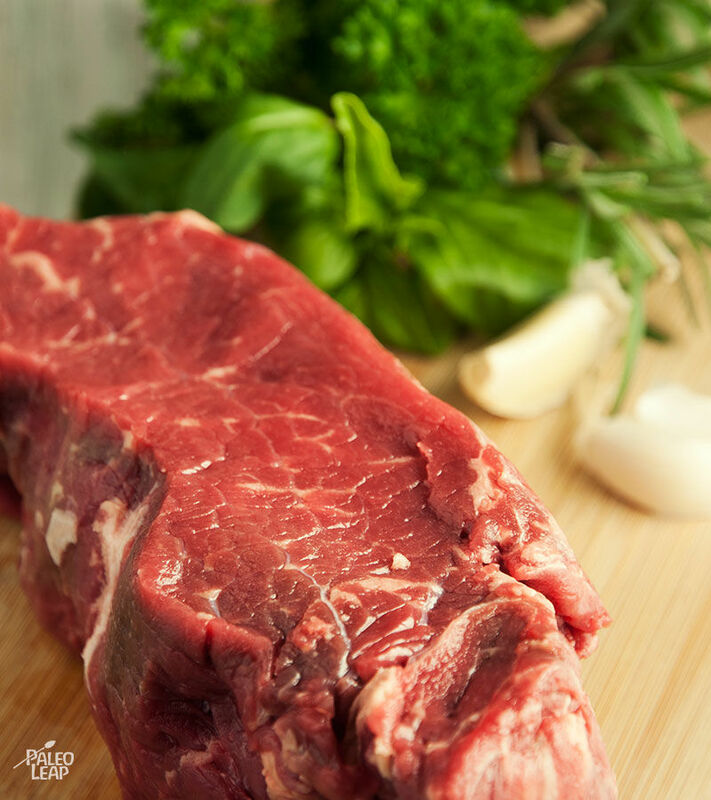 Pan-seared steak is a classic recipe: uncluttered and elegant, like the little black dress of food. But sometimes you do want to dress it up just a little without losing the simplicity that made it so good in the first place. Enter a marinade (to strain the simile a little, you could call it a statement necklace for your steaks). 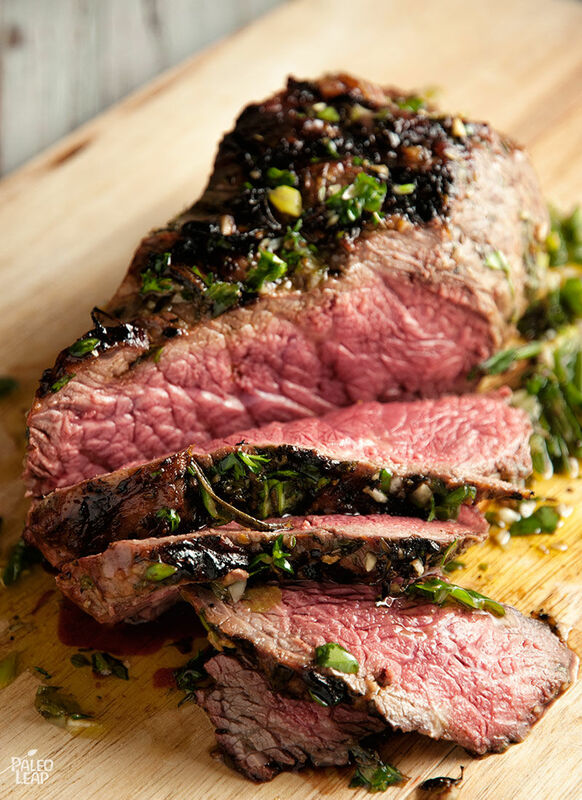 A simple marinade adds a fresh, herbal flavor that compliments the steak without overwhelming it – and it doesn’t add much to your prep time, either. If you don’t have fresh herbs, you can always substitute dried; just remember to lower the quantities since dried herbs are more intense. A typical rule of thumb is to reduce the quantities by 1/3, or simply replace each tablespoon of fresh herbs with one teaspoon of dried herbs. The flavor might not be quite as fresh, but if you have high-quality dried herbs, they’ll still work just fine. Zucchini gremolata (chop and prep while the steak is marinating; cook at the same time). Asparagus ribbons with lemon dressing (do the prep work of shaving the asparagus while the steak marinates; then quickly steam the asparagus while the steak is cooking so everything will be ready at the same time). Alternately, just toss in a quick tray of broccoli or cauliflower to roast, or quickly make some wilted spinach on the stovetop. There’s no need to use a specific “recipe” for everything, after all! SERVES: 4 PREP: 40 min. COOK: 15 min.